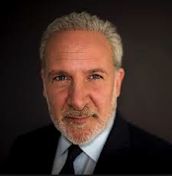 Peter Schiff On The Markets: Is Germany Opposing An European QE? Germany is not just one country. Germany has a lot of weight. And my guess is if the Bundesbank does not want QE, it is not going to happen. It is not like it is going to happen over their objection. So they are going to have to convince the Germans that QE is necessary and that QE is helpful. And I think that is going to be a very difficult hurdle to overcome.